So here is Luca’s Day Off . I hope you like it! 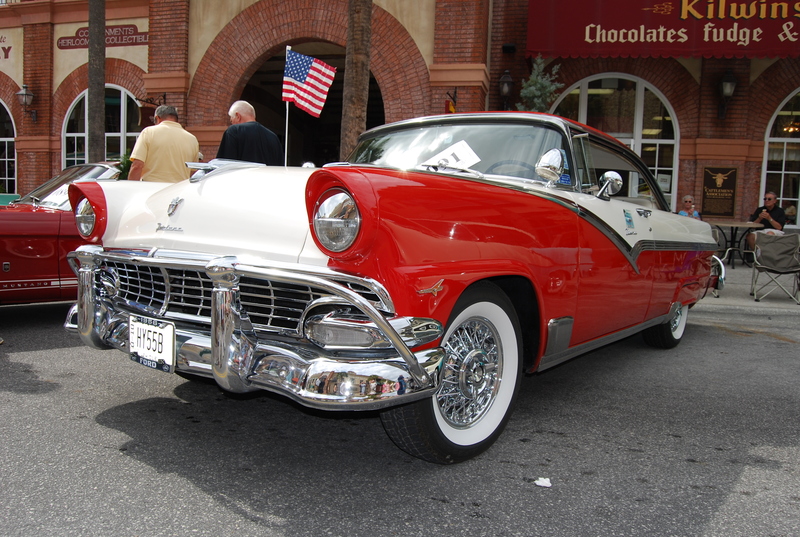 Oh and I almost forgot….. this week I will present you Vicky, she is a beautiful 1950’s style car which I modeled after the famous Ford Fairlane Crown Victoria 1955 (that’s a long name for a car, huh!) My Vicky is short for Vickylane 1950 (and I think she is cute, especially in pink!). I started working on this car after I finished playing Mafia II. I loved that game, not as much as Mafia I, but still it was amazing! which is exactly what I needed to do my planning matte painting. I started by cleaning this image up and drawing on top of it a simple city scape. I just need a starting point, so don’t expect a master piece but for planning purposes it does the job! Alright now let’s get into the technical details, this scene was modeled, textured, light setup in Maya and rendered with Mental Ray. I went with an Indirect Lighting approach, I used Mental Ray‘s Physical Sun and Sky which creates a beautiful sky, Direct sun light and a nice Mood to the scene! I did use Final Gather with its default settings, the only thing that I pumped up was the Point Interpolation to 100 cause it can smooth the final gathering result at little cost! I made sure to have the Max Sample level at 3 to get a nice clean result. Now for the Atmosphere so you get that nice feel that city is far I used Cube Fog which you create by going to Create > Volume Primitives > Cube, as you can see you can create sphere and cone as well. For the Clouds I used cloudLayerShape which you can find under Windows > General Editors > Visor Once Visor is opened look for the Fluid Examples Tab and select Faster Clouds, feel free to experiment with the types of clouds! The car (Vicky) and character (Luca) were modeled, textured and rigged in Maya 2011. All the textures on Luca are Procedural textures, no SSS material was used for the skin. As for the car paint I used mi_metallic_paint cause it does what the name says :). As for the chrome parts and the windows I used mi_material_x cause it gives a very clean result and fast result. I hope you enjoyed this week’s scene as much as I enjoyed working on it, and I would love to hear your thoughts. And don’t forget to check out last week’s Weekly Seen! Thanks so much for sharing this stuff! I’m really new to Maya and 3D in general! Seeing a concept to final piece is great to learn from. Thanks for the wood texture tutorial as well – just what I was looking for!! Pleasure is all mine, so glad that the tutorials and concept to final piece helped you out. Really means a great deal! Thank you so much for the procedural wood texture, I got a great mark for one of my projects with it. I’d love to see more in-depth tutorials regarding texture and lighting from you. pleasure is all min, I’m so glad I could help out. I’m working on couple of lighting and texturing tutorials that I will be posting soon! Thanks, really glad that you enjoyed it. Thank you so much, really means a great deal to know I could help out!